Recent release “Fleeing to Love” from Page Publishing author Brandi Shaffer is an appealing narrative that tackles on ideas of healing and appreciating the self amid heartaches and identity crisis. Brandi Shaffer, a prolific author from Wyoming who works in the restaurant industry and loves photography, hiking, and writing, has completed her new book “Fleeing to Love”: a highly defining story of a woman who runs away from the pains of love and the past, only to return with a steadfast resolve and a new perspective. Published by New York City-based Page Publishing, Brandi Shaffer’s evocative novelette purports an important virtue of learning to never underestimate one’s capacity for trust and reparation throughout the waking life. 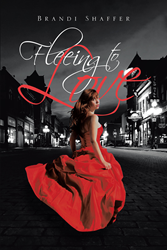 Readers who wish to experience this exquisite work can purchase “Fleeing to Love” at bookstores everywhere, or online at the Apple iTunes store, Amazon, Google Play, or Barnes and Noble.